Discover the ancient wonders of Cairo on this full-day trip from Eilat . Departing from Eilat , travel in comfortable, air-conditioned coach or minivan, journey past beautiful desert mountains, beaches and towns to Egypt’s fascinating capital, the Cairo. Tour begins with a journey through the Sinai desert at night, arriving in Cairo in the morning. Take a guided tour around the Great Pyramids and Sphinx at Giza, and learn about the history and mysteries of these age-old monuments from your conversant Egyptologist guide. Explore the incredible Egyptian Museum to see highlights including Tutankhamun’s golden death mask, the world famous Papyrus Institute and burial riches; and after a delicious egyptian style buffet lunch, relax on your ride back to Eilat. The afternoon will include the most iconic highlight of all, a tour of the Pyramids at Giza, one of the Seven Wonders of the World, as well as The Great Sphinx which is the limestone statue of a reclining creature with a lion's body and a human (male) head and the Khan El Khalili Bazaar (souk) Cairo’s old bazaar. On our one day Cairo tour we pick you up from your hotel in Eilat to visit the pyramids of Giza, the Sphinx, and other fascinating sites of the Egyptian capital. Your journey to Cairo starts with driving through the Sinai desert around evening time, and arriving in Cairo early in the morning to start your visit. You'll spend the morning visiting the inconceivable Egyptian Museum, home to thousands of ancient rarities, and the world well known Papyrus Institute, All of those right before having a local Egyptian style lunch. Later on we get to the best part - the most famous feature. The Pyramids of Giza, one of the Seven Wonders of the World and in addition The Great Sphinx AND the Khan El Khalili Bazaar. You'll head back from Cairo in the evening, returning to Taba in the early morning hours. 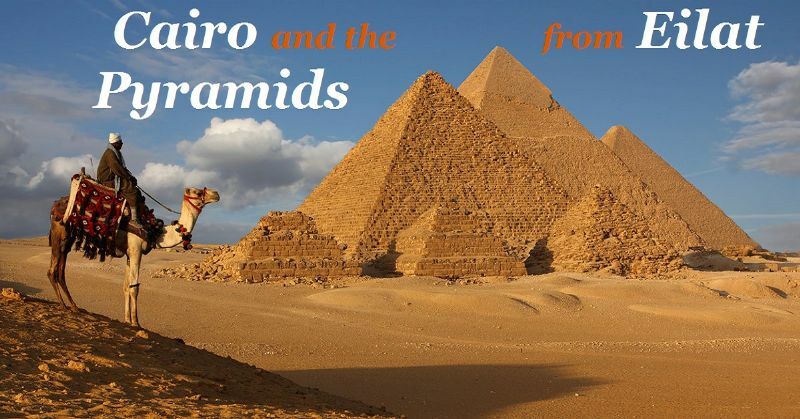 Our Cairo and the Pyramids day tour begins with Pick up from your hotel, and transport to Taba border. Meeting and assisting at Taba border with our English-speaking guide and drive to Cairo egypt. Start the full Cairo day tour with visiting the Egyptian museum. and afterwards go to Papyrus tour. Lunch at a local authentic restaurant. 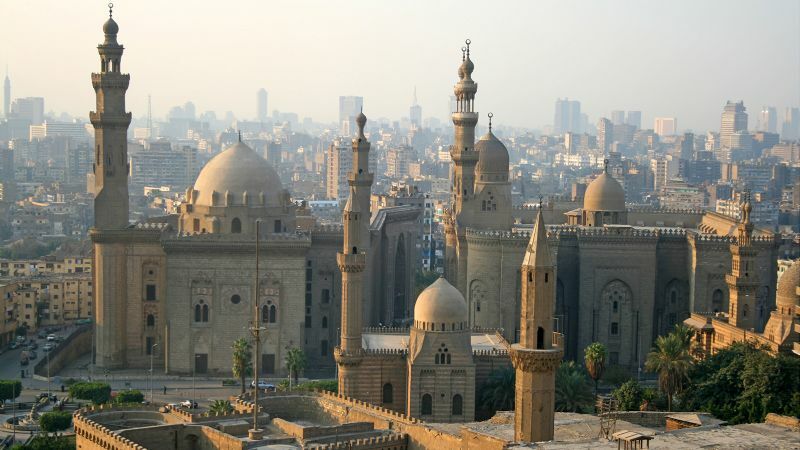 Visit the Egypt Pyramids, Sphinx and famous old market - Khan El Khalili. We begin our way back from Cairo to Taba Border. Arrival at border and return to Israeli territory. Transfer from airport or hotel to Taba border with our professional team. Transport in our newest models of air-conditioned vehicles. Entrance fees to Pyramids + Sphinx. Entrance fees to Egyptian museum. Visit the famous Market Khan EL Khalili. Return coach to Taba border crossing. Change of vehicles is required for transfer between pick-up/drop off destinations to save time and to avoid traffic and delays. When registering it is a good idea to make sure you use the same email and phone number, so that you can be notified about updates and important notices regarding the trip. Please note the visa and border tax will be paid in cash at the border during the crossing process. Payment for the trip will be in cash, credit card, or wire transfer. Credit card and wire transfer payments must be made before the day of the tour. Payment by cash in dollars or New Israeli Shekels (at the high-rate) can be made on tour day. If you decide to pay in credit card, then you will be charged by a commission rate of 2.8%. Click on the map for "Google map"